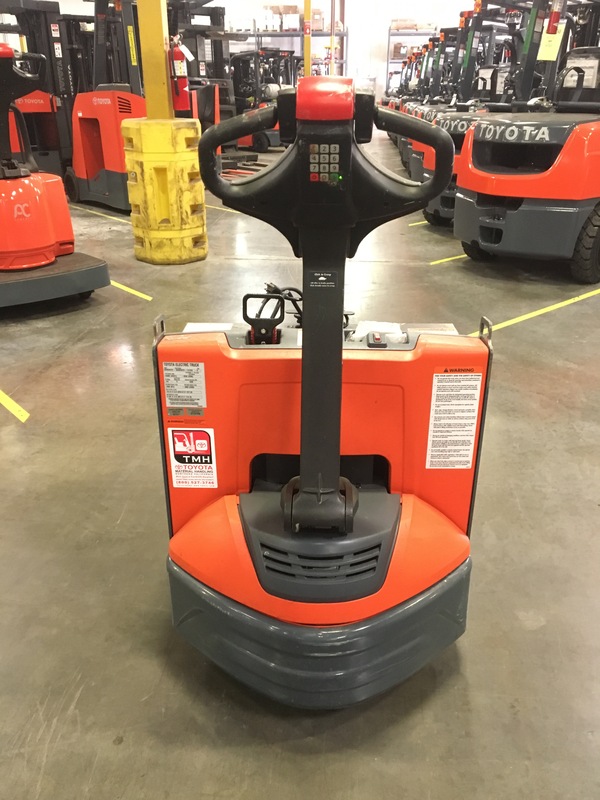 This used 2013 electric walkie is an excellent piece of material handling equipment being offered by TMH. This electric lift is equipped with 48" x 27" pallet forks. 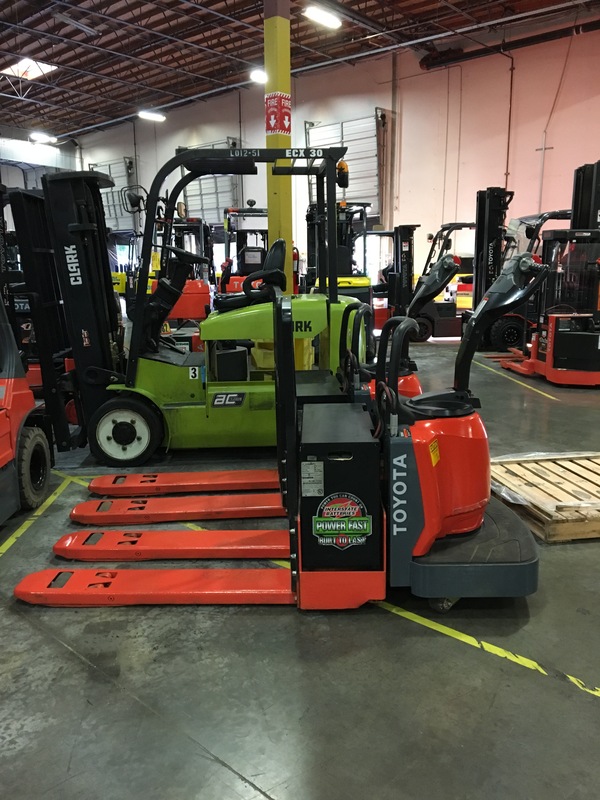 This 2016 Toyota Electric Walkie Pallet Jack makes pulling product through the warehouse efficient and convenient. Ideal for mid-distance runs as well as loading and unloading trailers, the Electric Walkie Pallet Jack is a handy, multi-use solution for nearly any application.